Brian Eno has composed two music scores which will be used to help treat patients in hospital. As the Independent reports, the Montefiore Hospital in Hove, East Sussex, has launched two music and light installations created by the famed producer and former Roxy Music man. The first piece, '77 Million Paintings for Montefiore', will be played in the hospital's reception area and will employ an electronic system called 'generative music' so the sounds are constantly changing and never repeat themselves. The second composition, 'Quiet Room For Montefiore', will be used as a soundtrack in a separate downstairs space available as an "escape" and "somewhere to think, take stock or simply relax" for patients, staff and visitors to the hospital. 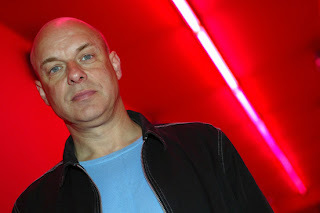 A spokesperson for Eno said that the installations had been directly inspired by Florence Nightingale, adding: "Since word about this broke in the architectural world there have been four different architects who work specifically in the design of hospitals who have expressed particular interest in Brian's installations. I believe they have already visited the Montefiore Hospital. Brian may well get involved with more hospitals." They also confirmed, however, that the compositions wouldn't be available to the general public, stating: "It's true to say that 'The Quiet Room For Montefiore' is an album that can only be heard in the Montefiore Hospital." Eno, who recently featured on the track 'Digital Lion' from James Blake's new LP 'Overgrown', released his last LP 'Lux' in November last year.